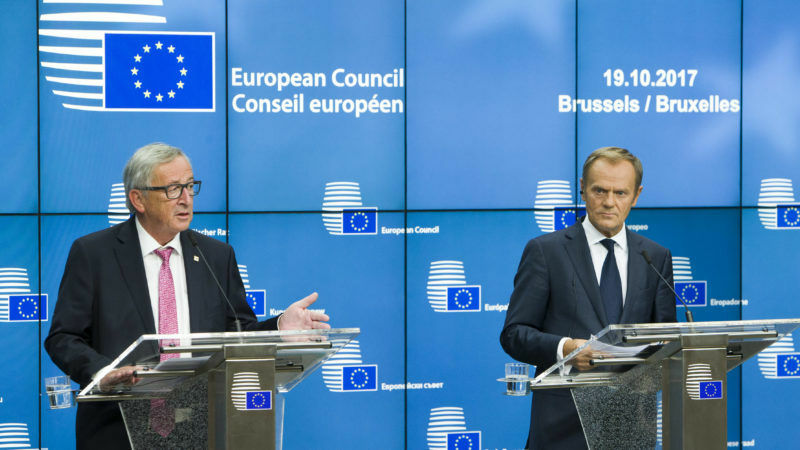 Speaking to the press after the first round of talks at the EU summit on Thursday (19 October), Commission President Jean-Claude Juncker warned that EU action was “reaching its limits” due to insufficient financing. 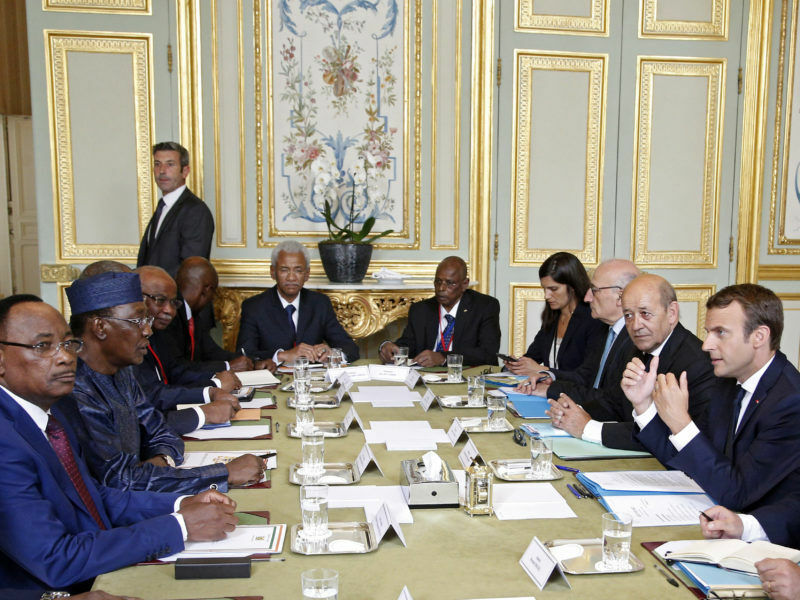 “We are reaching our limits when it comes to this Emergency Trust Fund for Africa,” Juncker said. “We started by saying that we would take €1.8bn in our hands in order to be helpful to Africa, then we increased this to €2.5, then to €2.9, then to €3.1bn, money the Commission was providing by restructuring the existing budget. Member states have so far committed €175m, this is clearly not enough,” he stated. Close to €3bn worth of development funds have been pooled together through the EU Emergency Trust Fund for Africa, to strengthen border control, improve migration management, foster resilience and create new job opportunities in 26 African countries. However, as Juncker said, this money has been taken form the existing EU budget, and development professionals have warned against diverting development money from long-term programmes to ad-hoc measure to stop migration. Migrants have become the focus of the EU’s aid strategy. As priority is given to stemming migrant flows in the short-term, long-term development goals are forgone, tarnishing the EU’s image as a global development actor, writes Fanny Voitzwinkler. The figures provided by the Commission are indeed speaking for themselves. Countries have provided much less than pledged, and some contributions are indeed symbolic. For example, Germany has pledged €51m and provided €23m, France has pledged and provided only €3m, Belgium has pledged €6m and provided €3m. Countries from eastern Europe have pledged and provided minimal amounts: €50,000 from Bulgaria, Latvia, Lithuania, Slovenia, €70,000 from Hungary and €100,000 from Romania. In contrast, Estonia has provided €1,450,000, which is more than Portugal (€700.000), Ireland (€1.2m) or Poland (€1.1m). Italy is a special case, with the highest contribution of €92m so far, but it is also the country which has itself had to take measures to stop the uncontrolled arrival of migrants. EU leaders agreed yesterday to provide “stronger support” to Italy for its work. “We have a real chance of closing the Central Mediterranean route,” European Council President Donald Tusk said after 28 EU leaders meeting in Brussels discussed migration, stressing the need to lower the number of arrivals from Africa going through the Mediterranean to Italy. The EU executive told the group they needed to immediately chip in an extra €225m for migration-related projects in Africa due to run this year and early next year. “If we do want to be as present as possible in Africa – mainly in the Northern part of Africa – we have to increase financial means,” Juncker said. The Commission also said €1.6bn would be spent by the end of 2017 on Turkey. In 2016 the bloc promised €3bn for Syrian refugees in exchange for Ankara shutting down the route traffickers and smugglers were using to get people to Greece. Despite sour EU-Turkey relations on several issues, German Chancellor Angela Merkel praised Ankara for hosting refugees from Syria and said the bloc should pull together another €3bn to that end. “We have promised €3bn for the coming years in addition to the €3bn that we have already committed. We need to deliver on this promise,” Merkel told reporters on arriving for the two-day EU leaders’ summit in Brussels. “This money helps the refugees who are living under very difficult conditions. Once again, Turkey is doing a great job here,” she said. Remember the history from Mugabe from Zimbawee ! When he invited a lots of invites by him spending an extrem high amount of money and then asking more from international fund whilst citizens are starving from hunger . Who are we funding ? First of all, migration to Europe via the routes stated in the article is from Northern Africa, not sub-Saharan Africa. The article would do well to differentiate seeing as geopolitically, that fact is important. Zimbabweans are not migrating enmasse as refugees into Europe. Botswana and South Africa, certainly, but that is not financed by the European Union. You do have a point about auditing funding and making sure that development aid is channeled into long-term, sustainable development. Maybe Europe could work harder at not arming rebels in Tunisia, Libya, Syria and the Levant? They have a hypocritical policy that ignores climate change, supply-chain logistics and basic pragmatic common sense. 2 weeks ago, Zimbabwean President’s step-son received 3 British-assembled and Dutch transported Rolls Royce’s. Why didn’t these governments freeze assets of the buyer? Why didn’t the UK government direct it’s so-called “smart sanctions” and prevent British-registered manufacturers and Dutch KLM (national airline) against delivering these motor vehicles? It’s one thing to complain about helping Africa’s poor, but both the Dutch and British governments in this example receive corporate tax from this. And KLM is the national (state) airline of the Netherlands. So, they are basically allowing rich crooks to exploit their own people. Then observers like you come and suggest that people in genuine need of aid (primarily due to climate change and carbon emissions from rich Western manufacturing nations) should not receive it. Georgi Gotev, your grammar throughout the article is atrocious. Please spell-check and grammar-check before posting. The Africa Fund should help Turkey, Spain too. In Turkey we have a semiafrican goverment set against Cyprus. In Spain we have a fullyafrican goverment imprisoning political opponents and looting the country. No doubt we have to ask the Commission to hand out more to two those two pariahs.